Over the weekend, designers, architects, and a cadre or pet-friendly people showed off a series of dog houses ranging from a futuristic space pod (or “pawed”) to a very pink purse. 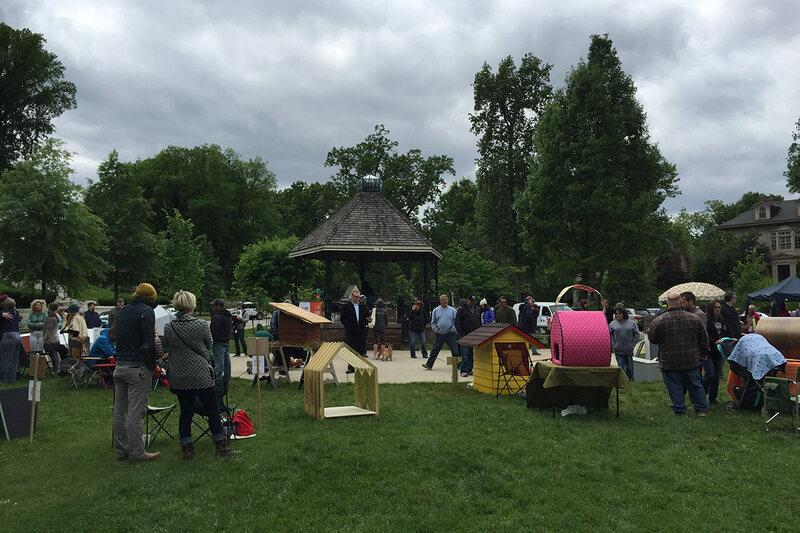 The first ever Barkitecture Louisville, organized by Louisville Metro Animal Services (LMAS), was held in a very chilly Willow Park in the Cherokee Triangle on Saturday, May 14. 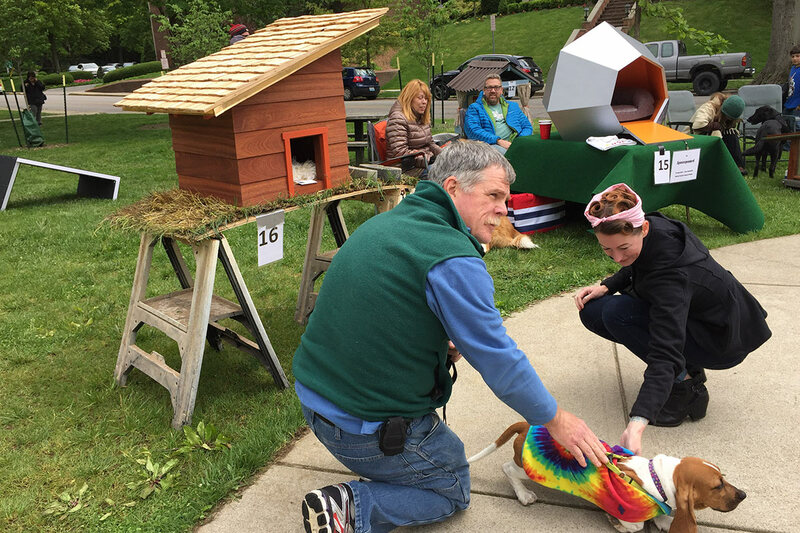 Over 20 unique dog houses were auctioned off to benefit homeless animals in Louisville. Entries were submitted by professional designers and amateurs alike, including WORK Architecture + Design, Kentucky Wisewood, Birdsquare Carpentry, Assumption High School, the K-9 Unit from the Louisville Metro Police Department, and the Buechel Fire Department, among others. Jessica Montgomery, director of LMAS, had previously said in a press release that funds would help open a new animal shelter. She plans to make Barkitecture an annual event in the city. Better get started sketching your ideas for Barkitecture Louisville 2017!